“Weak patenting standards and ineffectual policing” have helped turn the pharmaceutical industry into a key driver of the opioid epidemic, according to a study published in the Harvard Law & Policy Review. 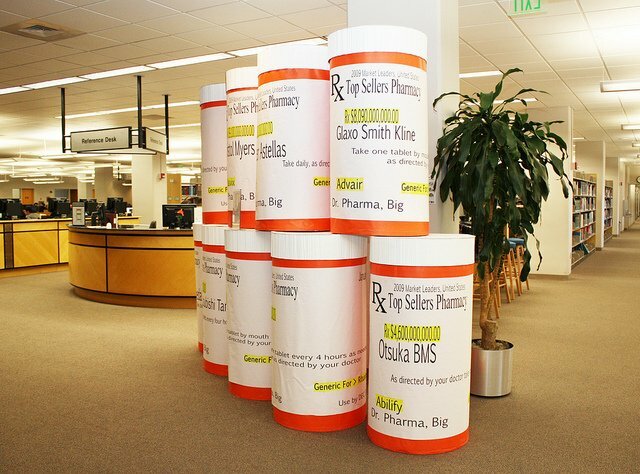 The study, entitled “The Opioid Epidemic: Fixing a Broken Pharmaceutical Market,” argues that the failure to effectively regulate fraudulent marketing and anti-competitive practices by Big Pharma have contributed to the “over-utilization of costly and often harmful” branded prescription drugs. At the same time, it has hindered access to low-cost generics, say the three authors of the study, Ameet Sarpatwari, Dr. Michael S. Sinha and Dr. Aaron S. Kesselheim—all professors at Harvard Medical School with appointments to the Brigham and Women’s Hospital. The authors cite an estimate from the American Society of Addiction of Medicine that over 2.5 million Americans now have an opioid use disorder. In 2015, 33,092 Americans died from an opioid-related overdose—a fourfold increase from 1999. Over four million Americans misuse opioids each month. Between 2005 and 2014, the annual number of opioid-related emergency department visits doubled. Almost as many people now die from an opioid-related overdose each day as die in automobile accidents. A fundamental cause of the epidemic was—and continues to be—an over-prescription of opioids, the study says. From 2000 to 2010, the number of prescriptions for oral opioid analgesics rose 104%. The full study and recommendations are available here. A new study of prescribing practices in California found that between 2011 and 2015, residents of neighborhoods with the highest proportions of white people were more than twice as likely to be prescribed an opioid pain reliever than residents of neighborhoods where whites were scarce. The War On Drugs is a huge revolving escalator, marketed by big Pharma and sold by the US government. The government officials won’t do anything about it because, big Pharma pays these representatives through lobbying and campaign funds, wink, wink, to look the other way. The government officials also have a stake in the private prison system. Thus, they making money doing nothing. We’ve been sold out.